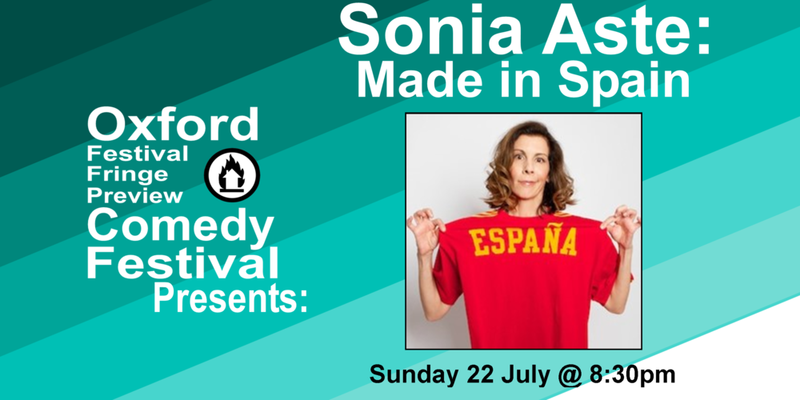 Sonia Aste is a Spaniard living in the UK who insists it’s not all fiesta and siesta! We get miserable too! But nobody’s listening. Using fans, football, folklore and family, this is an uplifting, hilarious show about British/Spanish connections. Yes it’s about cultural differences, but more importantly, it’s about how we’re all connected through life, love and laughter. Brexit or no Brexit. If you’ve been to Spain (or have yet to go) don’t miss this "sunny" and very funny journey. Foot stomping laughter! Olé! Winner: TMI Contest Divisional 2017. As heard on BBC Radio and Soho Radio.